I love wearing sequins. To me, you can and should absolutely wear them beyond the countless holiday soirees and New Year’s Eve shindigs. Truth be told, a little extra sparkle is just what is needed to combat those dreaded January blues? I know that most of you reading this may not believe sequins is something that you could wear everyday simply because sequins echoes party styling. However, they’re also great to spice up your everyday look. If you’re thinking that sequins are too flashy for your comfort, keep on reading to get some tricks on dressing down your sequins for everyday wear. The biggest advice to wearing sequins for everyday wear is do not go overboard. Unless you want to blind someone, don’t go crazy with wearing sequin on your top, your skirt, your shoes and your bag. Instead, wear sequins with basic or casual everyday wear with no embellishments. A knitted sweater, basic tee, pencil skirt, jeans, tank top and such work well from day to night. Just remember to keep the rest of your look plain and let the sequins take the attention. Keep everything else pretty low-key and simple. This means no big or statement accessories either. Now I personally think a great place to find fabulous sequin pieces are thrift and vintage shops. I own my fair share of sequin pieces, and all but one has come from a second hand store. This black and silver beauty came from Goodwill in San Diego for $12! A statement piece for $12 – please tell me how you can beat that? Thrift stores are your friends people, and you are missing out if you have not started giving them a shot. As I wanted to dress down my sequins, I paired it with these faux leather joggers that I got from Buffalo Exchange for $8. Buffalo Exchange is a consignment store across the country. I actually got this pair in Las Vegas while on vacation. Yes, trust me, I thrift everywhere. You never know the gems you are going to find when you are not in your own neighborhood. Taking my own advice, I opted for simple black patent leather pumps from Heels.com marked down from $85 to $19. While I am not a fan of their retail prices, I have to say that their sales prices are absolutely on point. Finally I completed the look with a leather clutch that was thrifted from Georgia Avenue Thrift in Washington, D.C. for $7. oh my gosh i adore this! and it seriously can be dressed up or down- but i love how you styled it with those heels! Love the look! You definitely know how to find the good prices. I love this time of the year when everything is marked down. i LOVE this top! And your leather pants! you look amazinggg! I’m not one to wear sequins. However, I do really like this top, and the way you’ve styled it. I simply cannot handle glitter, but sequins I think heck yes! I can’t believe you got this top for $12 at goodwill. So cute! I have a TJ Maxx find that is a Gold sequins jacket that I have never dared to wear. I’ve gotta do it! Your look works so well. I love that top and the pants together. It is amazing how you put together such great outfits for the bargains you pay. Love that top and I think it would look cute with a pair of jeans too! Love your style. That outfit is amazing, first of all. Second, I am totally with you on not saving things for special occasions and celebrating every day. I have NEVER thought to look at vintage shops for sequined clothing! That is a GREAT tip! I cannot believe you found those pants for $8!! You did a really good job dressing this up. It doesn’t look like too much, just right. It looks really lovely and I love how you paired it with leather pants and simple black heels. That’s a great way to rock that sequined top without a doubt. I’m not usually one to wear sequins but this look is fantastic. I love the heels. I would have never thought to wear sequins other than to a party, but this makes those outfits something that you can wear more than once and on different occasions. I would love to live in sequins all day every day! They’re just so pretty! They’re the perfect way to spruce up any occasion! What a great post. I love buying fancy pieces but often I only wear them one or two times. I’m going back to my closet with your tips. I definitely try to avoid sequins for a day look, especially for work or something similar. That is, until I saw how you styled this top! It’s really nice and it’s stunning without screaming that you’re wearing sequins, if that makes sense. This outfit is so on point! 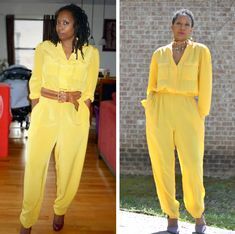 I cannot believe that everything you are wearing was so affordable and cheap! I bow down to you, you really are a thrifting diva! What a beautiful outfit on you – you look fab! I love it! Sequins for everyday wear. Who couldn’t do with a pop of shine! Oh I agree that sequins don’t always need to be flashy and as you have shown you can wear sequins during the day too. 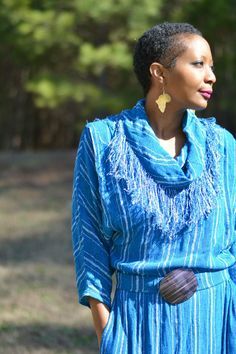 l think you have put an understated, classy and elegant look together and I also love to find bits from thrift shops as well! When I was a teacher, there was a woman at my school who wore sequins everyday because she thought every day was worth celebrating! you are really rocking that outfit! I’m a little scared to wear sequins but now I might have the courage! Sequins are so much fun! I never even thought about using them in a daytime look, but you completely rock it! I’m definitely guilty of always being the most overdressed in the room, as opposed to the other way around, but I really don’t think there’s anything wrong with that!! Being dressed to the nines is ALWAYS nice, and you’re seriously rocking these trends even for day-to-day wear! I am loving the black leather pants. I have some in my closet but have never worn them. I’m a little scared. But they look amazing on you!! Maybe that means I should go for it! I adore a little glitter or sequined top. I have this fun sequined tank and sweatshirt that I often pair with jeans and boots or a flyaway cardigan. It does help perk me up during the dreary winter. That shirt is fabulous! I may or may not be slightly obsessed with sequins, so this is perfect! I am always iffy about wearing them out on the daily, but you make it look so effortless. You look SO fab! I’m not quite sure I could pull this off quite like you. I will give sequins a try though! Lovely photos. The outfit looks great on you. I dress down sequins with jeans and fabulous pumps. It’s a fun look or a lunch date or an evening out. Ayana!!! You pulled this together perfectly! 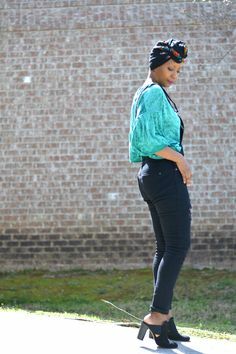 I am one who always thinks sequins are for evenings or something fancy but this look works great for day. I love this whole look! I don’t have any sequins myself but my girls do and they are always asking how to make theirs look less dressy so they can wear them to school! First of all, I so much love your hair! Secondly, you really look awesome from top to shoes. And the projection and poise, could be a mag cover! I’m a yes for sequins any day! You definitely scored some great bargains! I love those shoes and would have had a hard time walking away from that kind of sale. This looks so comfortable but dressed up too. What a pretty top for everyday wear and something sparkly when you want to dress up!